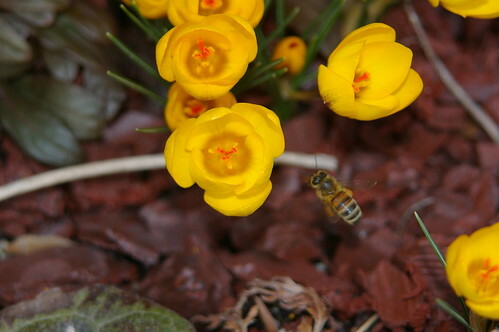 The First Bees of Spring 2, originally uploaded by ckaiserca. Spring has arrived in Aurora! At least it has in our front garden.